The North Georgia Live Steamers is pleased to announce the 2017 season schedule. Many club members are taking advantage of the warm weather we’ve had so far this fall and have already started working on new things for the railroad. Mark your calendar and spread the word. The club and the many volunteers look forward to sharing the Conyers & Hightower Trail Railroad with you this year as we celebrate our 39th year as a club and 4th year operating at the Georgia International Horse Park Steeplechase grounds in Conyers, Georgia. So mark your calendar and tell your friends to come out and spend an afternoon with us at the railroad. 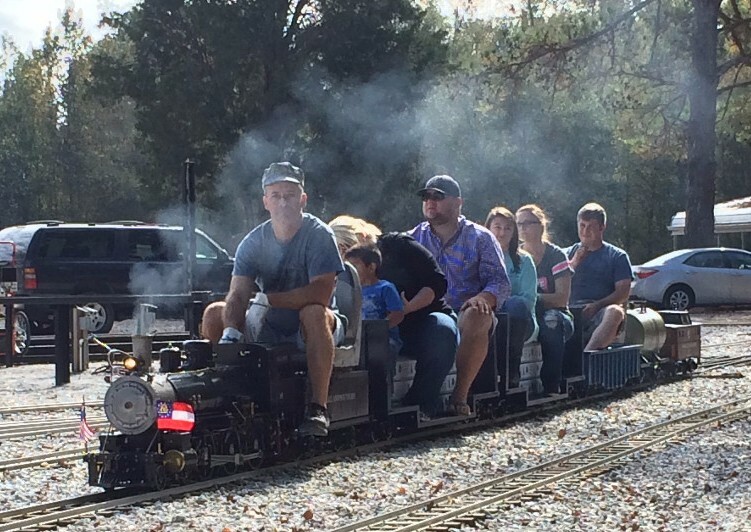 Train rides are $2 per person per ride and riders must be at least 18 months old or older.